1.Using 4 column 3 plate structure , active plate's vertical accuracy is controlled by 4 precision guide sleeve,upper and down working table's balance accuracy will be within 0.08M for every point surface. 2.Dual cylinder was whole hammering and processed by precision polished, HALLITE,NOK high quality oil seal,high reliable when high pressure state. 3.Pressure,route,speed,hold up time,open and closed height can adjust at any time, human-computer interface operate is simple. 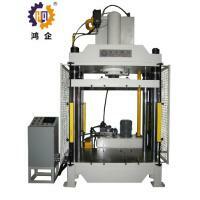 6.This series hydraulic press machine extensive apply to metal materials stretch,bend,turnup,cold-extruded,die cutting process etc, and also apply to correct,mounting,powder products,polish products pressure molding etc. 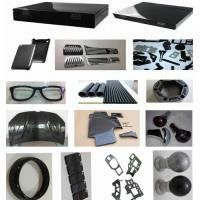 1) Guarantee for 1 year exluding consumable parts .Extra fee is paid if out of date. Any damage to the machine caused by improper use will be charged. 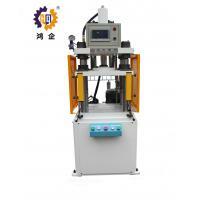 2) when receiving the your deposit, we will prepare machine for you,it will spend 15-30days to get the shipping pictures for you. 3) 24-hour technical support Internet or by Telephone, free instructions and Problem solving. 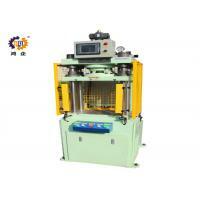 1.We are factory to make punching maching,die cutting machine ,hydraulic machine for several years. 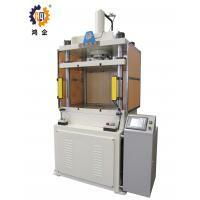 It's reliable and experienced Supplier . 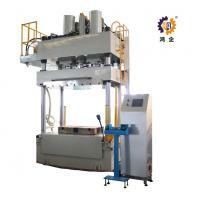 3.We have After-sales team to help you to solved machine problem at first time . 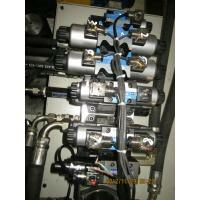 4.The machine warranty 1 years except consumable parts.different machine have different price . 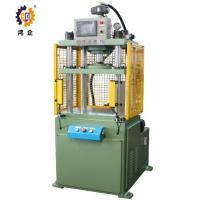 Our machine quality are assurable. We look forward to cooperate with and welcome to visit our factory ! 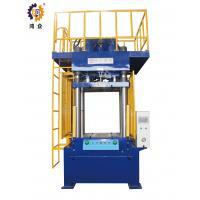 Dongguan City Hongqi Machine Co., Ltd. founded in 1995 is a national hightech enterprise, mainly engaged in research and development, produce and sale of hydraulic press machine. 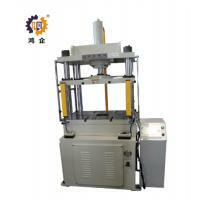 Our product include 3 -200 tons of precision hydraulic press, 3 - 3000 tons of common hydraulic press and heat press for new material molding and FPC laminating.The machine appearance,specification and function can be customized according to the user's needs.Our EP precision electronic punching machine and c-type single-station and double-station precision punching machine are widely used to making electronic materials such as PET, PCB, FPC, screen protector, double-sided adhesive tape, copper aluminum foil, etc. 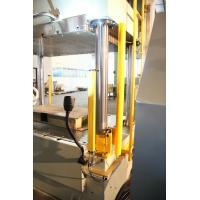 they can cut fully break or half break for the material,the precision can be controlled within ±0.01 mm. 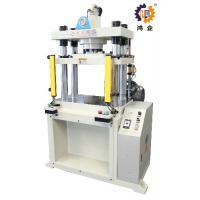 These machine are suitable for making parts as electronics, automobiles, household appliances, hardware, shoe,sports, rubber and plastic industries. 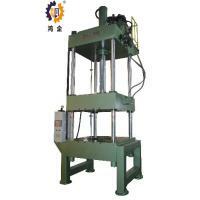 Our common hydraulic press is suitable for molding, stretching, assembling, stamping and forming various hardware products with stable performance, high efficiency, energy conservation and environmental protection. 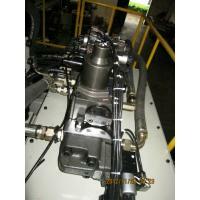 we also provides special design, machine maintenance, spare parts supply and other services for various special parts. All the hydraulic accessories are high-quality from worldrenowned manufacturers , such as Japan (Yuken ), Germany ( Rexroth ), the United States ( SUNNY ), Italy ( ATOS ) and Taiwan ( CML ) . the electrical accessories are also provided by famous suppliers in Japan ( Mitsubishi ), Germany ( Siemens), Italy, France and Taiwan ( for customers to choose from ). Based on the management concepts of keeping improving, developing and innovating, whole-heart service , and endless effort, Hongqi Machine will continue to provide humanized and automated high-tech products to solve processing problems for customers and improve productivity.